Small businesses are an integral piece to the communities they serve. They offer a familiar face, a local product, jobs, and personalized service that are often lost with large corporations. However, in this new age of E-Commerce, your favorite neighborhood store can reach far beyond its community and the confines of its brick-and-mortar walls. Achieving scalability for regional, national and even international distribution used to require resources only available to large national brands. That is no longer the case, and with the help from a third party logistics provider (3PL) like Nebraska Warehouse, small to medium-sized business (SMB’s) can deliver the same online and fulfillment experience to their customers as major enterprises. 3PLs can help navigate the complicated requirements involved with getting products from a warehouse or storefront to a customer's front door. Sometimes that means managing freight claims, invoicing, or insurance processes, or negotiating carrier rates that might be far higher if E-Commerce small business (SMB) tried to go it alone. 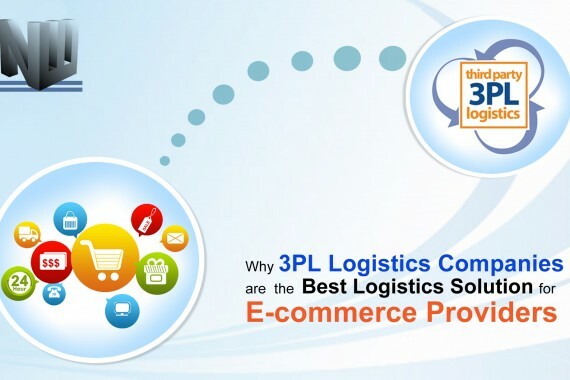 What 3PLs can offer to E-Commerce SMBs amounts to improved efficiencies. These can be measured both in the better rates SMBs receive from carriers, as well as the labor SMBs won't have to devote to understanding and executing logistics. It also helps SMBs compete with larger companies, particularly as they continue to push the boundaries of how quickly a product ordered online can be delivered. 3PLs also provide an important service to carriers by helping them easily fill empty spaces on their assets. This saves carriers the time, energy, and resources they would otherwise devote to consolidating the freight loads themselves. This access to aggregated demand, and the opportunity to balance lanes, helps improve carrier operating ratios. It is unlikely that logistics will get any simpler in the future. The traditional hub-and-spoke delivery system is already being transformed, and who can know what the future holds as technologies such as drones and 3-D printing evolve? For small companies working with a 3PL, these questions are not their concern. As the industry evolves, savvy 3PLs will evolve with it. And as they do, they will be empowered to help SMBs better grasp the growing opportunities e-commerce presents.